L.C. Allen suggests that electronegativity is the average one-electron energy of the valence shell electrons in the ground state free atoms. This means that values of the Allen electronegativity can be calculated from spectroscopic data. The values obtained correlate well with Pauling electronegativity and with Allred-Rochow electronegativity. The Allen electronegativity is given the symbol Χspec. Image showing periodicity of the chemical elements for electronegativity (Allen) in a periodic table cityscape style. 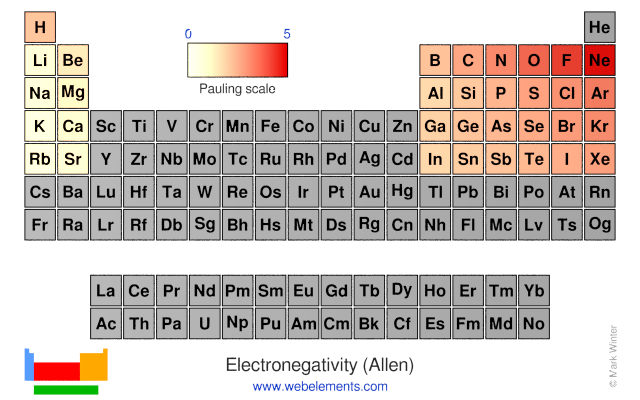 Image showing periodicity of the chemical elements for electronegativity (Allen) in a periodic table heatscape style. 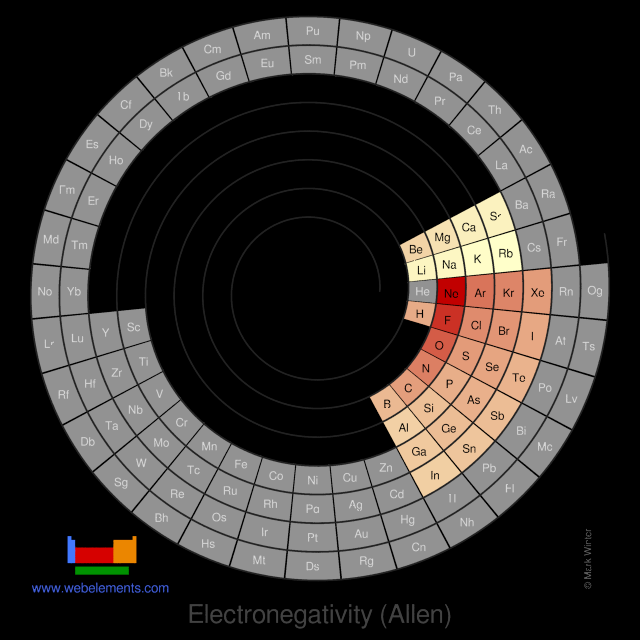 Image showing periodicity of the chemical elements for electronegativity (Allen) in a spiral periodic table heatscape style. 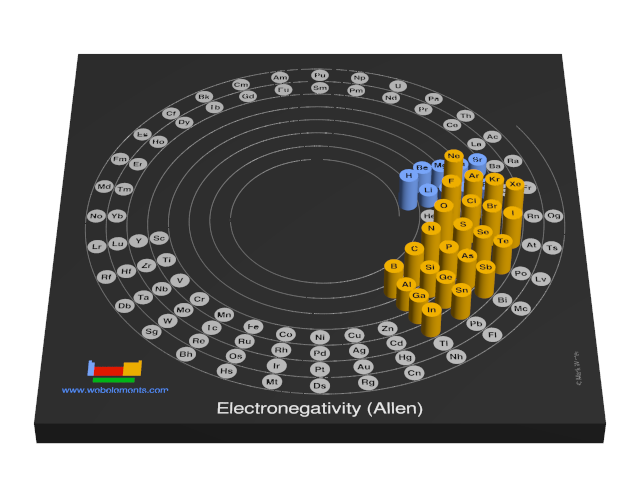 Image showing periodicity of the chemical elements for electronegativity (Allen) in a 3D spiral periodic table column style. 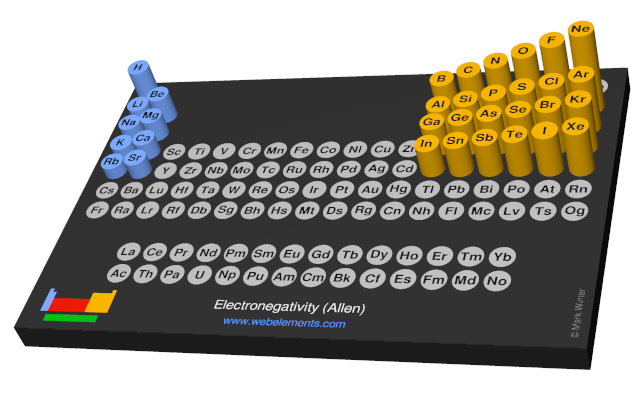 Image showing periodicity of the chemical elements for electronegativity (Allen) in a 3D periodic table column style. L.C. Allen, J. Am. Chem. Soc., 1989, 111, 9003.